May 16, 2018 is the first International Day of Light, a day dedicated to appreciating the role of light in all facets of living. Light plays an integral role in all aspects of culture, art, education,, science, and especially human health. In modern times, we know that light affects many components of health, from circadian rhythms to photosynthesis to the aging of our cells. In ancient times, societies created significant cultural events around light. Many places celebrated the lack of light (winter solstice) and the return of light (summer solstice). Indigenous shamans and healers around the world use light to change the structure of the field in the body to help their people heal. All of these societies developed a healthy respect for light and its role in providing the drumbeat for their communities. In modern times, scientists have learned how to harness light to do amazing things to optimize the human body. Light therapy is now commonly used to treat sleep problems, depression, anxiety and to reduce overall stress. Combined with color therapy, some people are using light therapy to change their brain functioning, which is improving their overall quality of life. At Infinity Healing, we are incredibly excited about the potential for light to change the cellular health of the body and to change brain function. 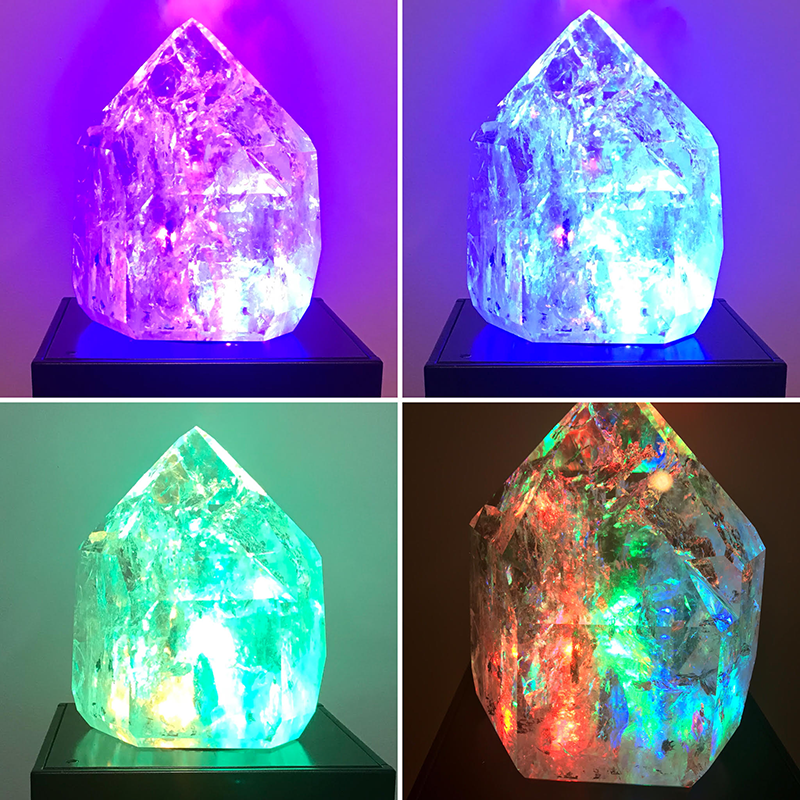 We offer light therapy with four different modalities – the NovoTHOR bed, (photobiomodulation), a light labyrinth (patterned light therapy within a large quartz crystal), energy work and our newest addition, the HOCATT (LED color light therapy). For best results, these therapies need to be used regularly and the effects are cumulative. And we see tremendous results. 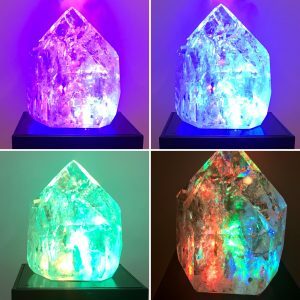 The Light Labyrinth streams LED lights through a beautiful, organic quartz crystal, which provides patterned light therapy. By using this crystal, people get into a meditative state much more quickly, which helps to appreciably reduce stress, anxiety and depression. Clients report reduction or elimination of headaches and migraines, and some out of this world experiences. It is immensely healing and people leave happy and calm. These benefits are amplified when paired with our float room. We are also excited to see the results that people will get from LED therapy in our newest addition, the HOCATT. What that means to the average person is that they experience pain relief or elimination of pain, improved energy levels and better quality sleep. Our clients reports significant pain relief, better digestion, better sleep, more energy and the ability to train and perform at much higher levels than without using the bed. We also hear reports of significant reduction in symptoms from lyme disease and the associated co-infections. Simply put, when used regularly, this bed enables people to get back to living the life they want to live, an optimal life. My energy work removes heavy energy from the body and brings in light energy. People report feeling lighter and their lives are transformed. They get the job they wanted, they get married and overall their lives improve. I use a variety of tools, including Vogel cut crystals, which are specifically cut to move energy and bring in light. This work is profoundly healing. Light represents hope, it represents optimal health. Take a moment on this International Day of LIght to honor the benefits of light in your life. At Infinity Healing, we intend to shine our light into local communities, to bring supportive therapies to help people live a vibrant and healthy life. Here’s to Healthy People Thriving Communities.